Buy 2 standard tickets at any GV cinema and your kid (below 12 years old) gets to watch the movie at no cost! 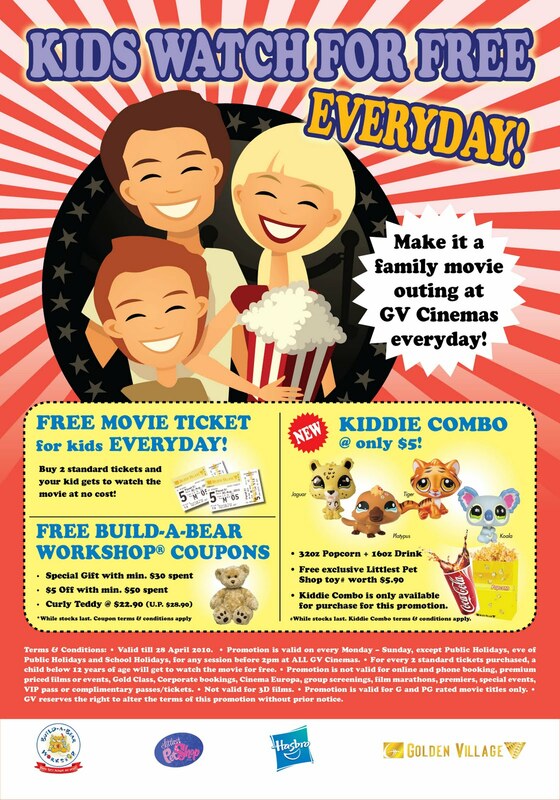 The Promotion is valid on every Monday to Sunday, except Public Holidays, eve of Public Holidays and School Holidays, for any session before 2pm at ALL GV Cinemas. As in all things on promo, terms and conditions do apply. Please click on this link for more details.